Pooch & Mutt: Dog photos and health tips: Can you rescue a Husky? Can you rescue a Husky? This is a bit of a coincidence. Firstly I was reading an article in this weeks Vet Nurse Times with comments by Chris Laurnce, The Dogs Trust Veterinary Director, about how Huskies have become urban 'Status Dogs' and how this has led to a doubling of the amount of huskies needing re-homing since 2007. Then I was contacted by Heather Smith from the Siberian Husky Welfare Association (SHWA). They are overrun with rescue Huskies at the moment and Heather was looking for help in re-homing them. 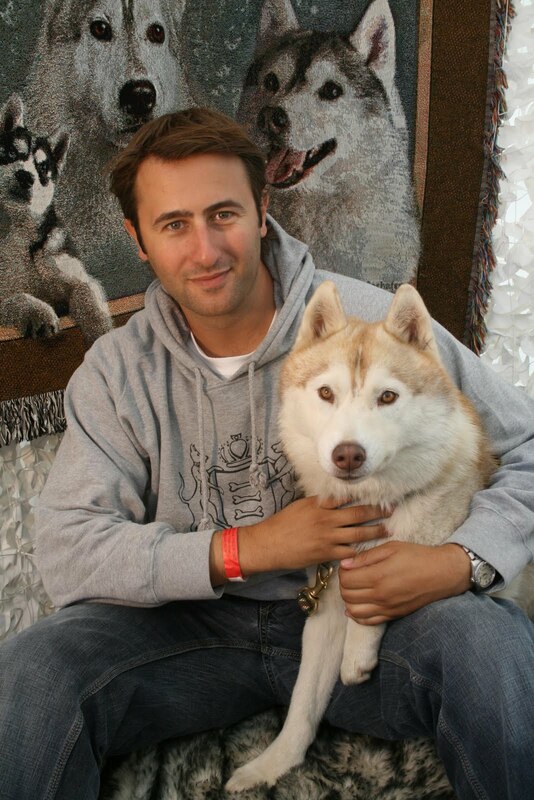 As SHWA were kind enough to take my photo (above) with one of their beautiful rescue Huskies I wanted to return the favour by letting as many of our customers, facebook fans and blog followers know about these Huskies. If you are able to adopt a beautiful dog that needs a lot of exercise then please click on the link below for information on how to adopt a welfare Siberian Husky. As an extra incentive... if you do go on to rescue a Husky from SHWA then we will give you and the dog you rescue a months supply of Bionic Biotic (health supplement for dogs) as a thank you.